Thami Tsolekile could have been the ultimate South African success story. I am a Tsolekile sympathiser and I believe he was hard done by. Not only did I think he deserved an opportunity at a time when South Africa's national team had a glaring absence of black African representation, I thought he was good enough regardless of his colour. His overall numbers - especially his batting average - might not support the promise he carried, but his was a career of two halves, the second of which was more prosperous. He was also something of a prodigy at junior levels. After Tsolekile moved to Lions in 2009-10, a decade after his first-class debut, his batting improved markedly. In six seasons with them he averaged 40.23, and in the same period he averaged 45.14 for South Africa A. 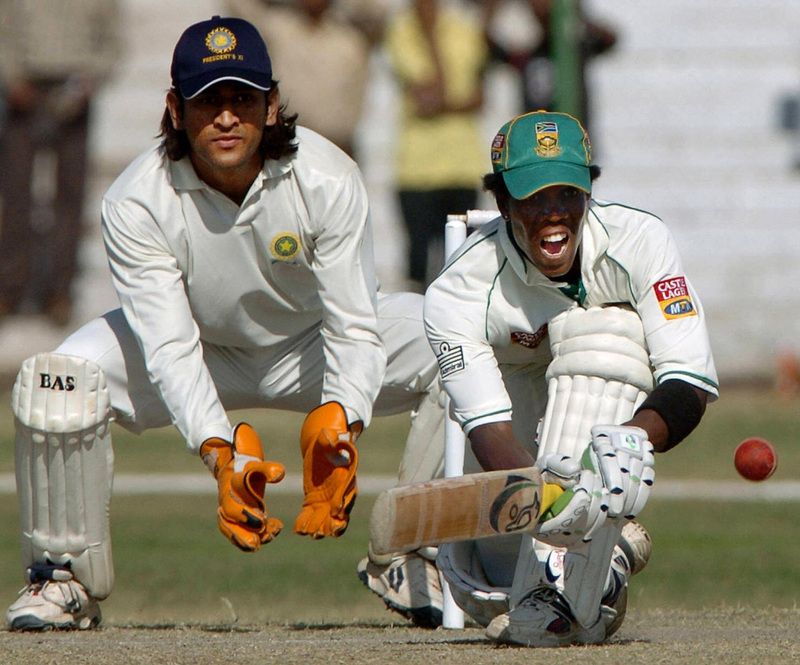 It was widely acknowledged during that time that he was the best wicketkeeper in the country. He was on a central contract and had been assured of an opportunity to represent South Africa again. That he did not is a blight on South African cricket. What he did after that is a blight on himself. How did Tsolekile became the man the world now knows, a player banned for 12 years by Cricket South Africa (CSA) for "contriving to fix" matches? There are no answers but here is his story. Like many young South Africans, Tsolekile grew up playing sport. His home, on Harlem Avenue in a Cape Town township, was next door to Langa Cricket Club, which played in the Western Province Cricket League. 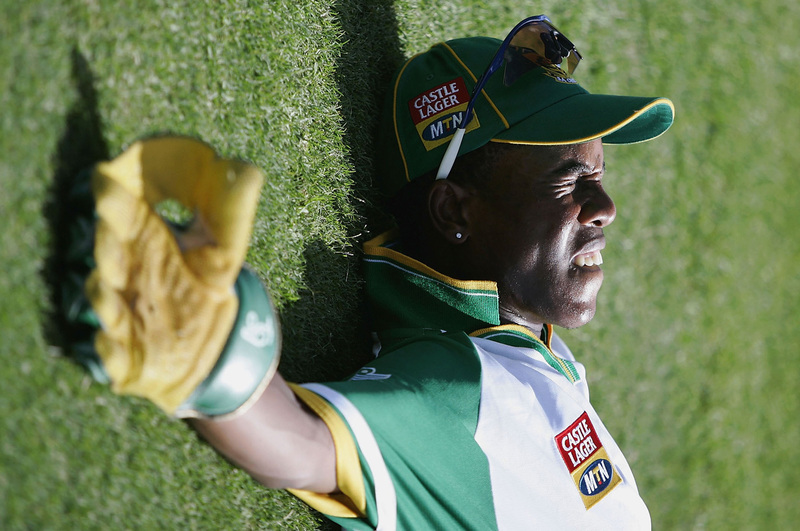 Cricket was in his family: his grandfather, Hlubi Zibi Tsolekile, played for Western Province in the 1970s. The reason you may not have heard of him is the reason you may not have heard of Ben Malamba or William Magitshima or any of their team-mates. Those players could not play with or against the Pollocks and the Ackermans; they were governed by a different board and made do with playing in non-white leagues. They received scant media coverage and are largely forgotten. They had nothing like the opportunities that came the way of the next generation. For Tsolekile, that opportunity came in the form of a bursary to Pinelands High School, less than 10km from Langa but a world apart. At school he had access to well-maintained facilities and coaches. Tsolekile excelled and broke several school cricket records, but his reflexes and superior hand-eye coordination also allowed him to thrive at hockey. "Thami was the most extraordinarily talented hockey player," says John Young, a coach who worked at Langa and who has acted as Tsolekile's agent in the past. "He combined skill, speed and exceptional vision with a very high work rate and a very unselfish attitude." Tsolekile was able to apply those skills at Langa as well, and he swiftly became an iconic presence at the club. As the star player he was targeted by the opposition. He was often provoked and would occasionally respond, once to his detriment. In a hockey match in the Grand Challenge League - the top tier of provincial hockey - Tsolekile was yellow-carded by umpire Neil Schluter for protesting a foul, which resulted in a five-minute suspension from the field. As he walked off he threw his shirt on the ground in irritation, which, in turn, extended his suspension. "At the end of the game, Schluter refused to shake hands, made an arrogant remark and turned away," Young remembers. "Tsolekile put his hand on the umpire's shoulder, intending to speak to him. For that he was red-carded. This became in pubs and newspaper columns some kind of assault." Langa appealed the red card, unsuccessfully, but the panel overseeing the affair concluded in their report that Schluter was "over-zealous in his handling of the matches", and decided he should be counselled by the Western Province Umpires Association to "adopt a more facilitative approach". The incident is often cited in media reports to illustrate Tsolekile's volatile temperament, which his supporters say is a mistaken assessment. His reputation, a former team-mate at Western Province explains, may have been a defence mechanism. "It was a pretty difficult space for a young black African to be in," the team-mate says. "In the early 2000s, provincial teams were still very much like old boys' clubs, and with transformation only starting, players of colour were regarded with some suspicion." "That they did not have a tradition of cricket." This player is not the only one who requested anonymity. Many contemporaries are no longer comfortable talking about Tsolekile, a man they believe should have amounted to more. Tsolekile made his first appearance for Western Province as an 18-year-old. A year later, in his second List A game, he took three catches and scored an unbeaten 37, which Michael Owen-Smith, writing in the Cape Times, called an innings of "flair, daring and innovation". It was a sign of Tsolekile's promise that he, and not Graeme Smith, was appointed captain of South Africa's Under-19 World Cup side in 2000. He led South Africa to victory in the Plate Final (rain wrecked their chances of the main prize) and three months later was named in the senior men's hockey squad to play in the African Cup of Nations (AFCON). As the continent's best side, South Africa should have gone to the Sydney Olympics that year. But they were denied by the National Olympic Committee, which chose not to send them - as punishment for their lack of representation. Tsolekile was the only black African player in the AFCON squad. Even without Sydney, though, when the new millennium dawned, Tsolekile had the sporting world at his feet. Olympic dreams snuffed out, Tsolekile went to the national cricket academy, where, according to an individual close to the academy, he "refused to worship at the altar of the former greats" such as the Pollocks. He did not enjoy the pre-match rugby-style bonding sessions, which included war cries and team huddles. Tsolekile preferred to be on his own, and was often found tossing around a squash ball to sharpen focus. He was seen as standoffish, an upstart barging into a world that didn't like the idea of him being part of it. Over the next three years he progressed upwards, with a burgeoning reputation as a wicketkeeper if not yet a high-quality batsman. He had already played for South Africa A when, in 2004, Mark Boucher's form dipped. Tsolekile was called up for a Test tour to India, at the time becoming only the fourth black African in the country's history to receive a Test cap. 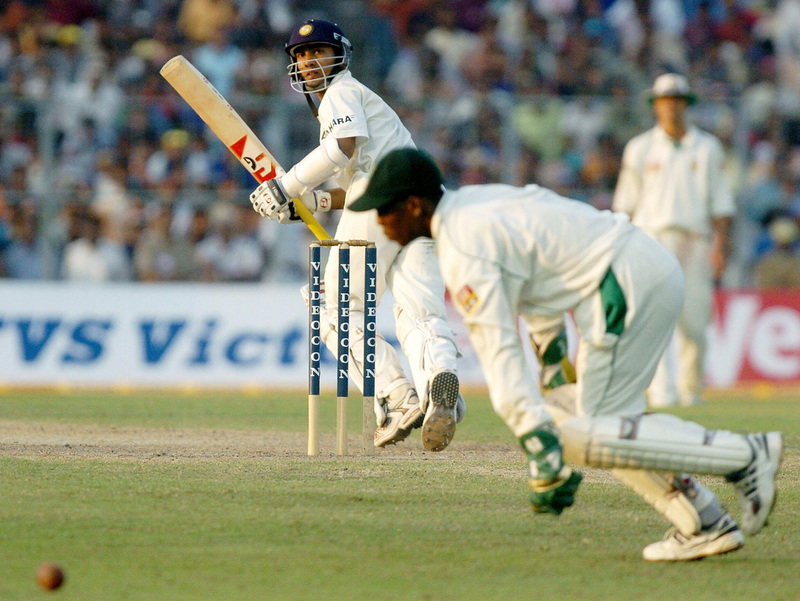 He struggled on surfaces with variable bounce and turn, as well as in a transitioning side, so that a month after his Test debut, in Kanpur, he played what would be the last of his three Tests, against England in Port Elizabeth. AB de Villiers took his place. At the time Tsolekile responded well to the axe. The 2004-05 summer became his most prolific first-class season. His 504 runs at an average of 36 were handy rather than spectacular - but he also became part of Cape Cobras' leadership core. He was promoted to the captaincy and enjoyed two summers of great success, winning the MTN 2006-07 one-day cup. Very quickly, however, things changed. 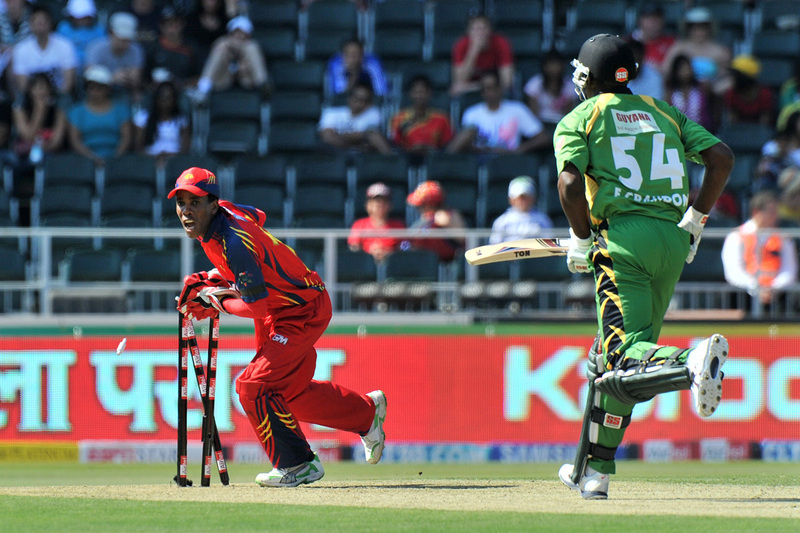 Cobras, convinced that the burden of captaincy was affecting Tsolekile's attempts to improve his batting, would occasionally release him from the role. That isolated Tsolekile and complicated his relationship with coach Shukri Conrad. In February 2008 matters reached a head. Tsolekile missed the first match of Cobras' first-class campaign because of an injury and took a trip to the Eastern Cape. One report claimed he broke team protocol by travelling, missed a physiotherapy session, and returned late for a team meeting; another said he did not inform Conrad of where he went to or why. Eventually he lost his place in the XI. … At the Cobras I was relying on my talent only. Losing my contract, that was a big wake-up call for me. I realised that talent and hard work must go together, you can't just rely on talent. Tsolekile worked in the Newlands ticket office during that troubled period, continuing to play for Western Province as and when he was selected. He also threw himself back into Langa. There, at a club that had been relegated in the Western Province Cricket League, he was a bigger influence than ever, captaining, keeping, batting, bowling offspin and even transporting players to games in his car. Almost single-handedly he oversaw their promotion. Eventually he would get a second chance, upcountry in Johannesburg, where Lions were plundering resources from the Cape to combat their own troubles. Tsolekile, who arrived there ahead of the 2009-10 season, immediately embraced his role as a senior player. "He was so good with leading guys, with being responsible for team performances," remembers Jacques Faul, general manager of Lions at the time. In two of his first three seasons he averaged over 50, earning a recall to South Africa A, and was challenging Boucher again for the Test spot. Early in 2012, when Boucher announced the England tour would be his last, Tsolekile was awarded a central contract. It seemed as if a succession plan was being drawn up. Instead, when Boucher's career was abruptly ended by a freak injury in the first warm-up match, the tour management took a decision to give the gloves to de Villiers before they had even consulted with the selectors. Tsolekile flew in to join the squad but ended up carrying drinks through the series. He said he was happy to do so. In December 2012, I had my last face-to-face conversation with Tsolekile, after the South African selectors had told him he was not good enough to bat at No. 7 in the Test team. It was after he told the Star newspaper that he did not trust the selectors; and it was after the convener then, Andrew Hudson, confirmed to me that he had told Tsolekile he would play but reneged when de Villiers changed his mind about keeping wicket in the long run. During a first-class match at the Wanderers, we sat on the grass embankment under a gazebo that shields spectators from the Highveld sun. Tsolekile was in his whites (he made 88 in the first innings, in a ten-wicket loss). He is a quiet but confident speaker, with an even tone, and rarely gets animated. That day he went over how he did not expect to play against England or on the subsequent tour to Australia because he knew de Villiers would do the job. De Villiers had taken over in an emergency in England and as South Africa became the No. 1 Test side they wanted to use the same team in Australia. When I asked Tsolekile how he felt, he shrugged and admitted he didn't really think about it at the time because he was more concerned with the chance he was going to get that summer at home. Tsolekile was told by Hudson he would play against New Zealand and Pakistan. But as South Africa won in England and Australia, and with de Villiers averaging nearly 50 across six Tests, the situation changed. Tsolekile was left out of the squad altogether. In six months he went from being on the cusp to being on the outer. Only then did he start to feel let down. He looked me in the eye and suggested maybe the colour of his skin had something to do with it. Until then Tsolekile had denied that race was ever an issue. During the tour of Australia, Makhaya Ntini had said Tsolekile would have played if he was white; Tsolekile had dismissed the statement. But just a month later, he wondered if Ntini was on to something. Faul, CSA's acting chief executive at the time, said the board would "sit down and have a chat about what happened because we have to interrogate the process". Our conversation ended with Tsolekile in a defiant mood. He vowed to keep doing his best for Lions, and for a while he did. He helped them win the 2014-15 Sunfoil Series first-class championship, contributing 424 runs that season and captaining them through parts of it. The debate around representation, particularly of black Africans in sport, was getting louder. South Africa's Test team went more than three years without a single black African in the side, and with Lonwabo Tsotsobe falling off the radar, they also did not have anyone making regular limited-overs appearances. Aaron Phangiso was a member of the 2015 World Cup squad but the only one to not play a single game - not even when South Africa had qualified for the knockouts and had only UAE to play. Khaya Zondo was picked for the limited-overs tour of India but not used, not even when David Miller was injured. Dean Elgar was flown in to fill in. After that tour, a group of black African players wrote a letter to CSA demanding an explanation for their treatment. Behind the scenes, they also threatened a walkout from their franchises. Tsolekile was believed to be one of the players involved. CSA never expanded on the subsequent talks it had with the aggrieved, not even on whether the issue was satisfactorily resolved. In November 2015, after receiving information of attempts to corrupt domestic cricket, CSA issued a statement warning players to "be alert". In January, after an investigation, the board charged Gulam Bodi with "contriving to fix" games in the Ram Slam T20 competition. Tsolekile had not played since December. Lions insisted he was injured, but later that month he was named by the Guardian as one of the players involved in attempts to fix games. When I contacted him for comment, he asked me for the newspaper's contact details and to say that he had hired a lawyer. When I asked for the lawyer's contact, Tsolekile said that was confidential. In the months that followed, he made several promises to tell me his side of the story once he was cleared. He insisted he had done nothing wrong and once even said the sum of his actions amounted to not reporting an approach. "I have been accused of thing I didn't do and I am just waiting waiting patiently for the investigation to finish, then I will come out," he wrote in one WhatsApp message, before adding, "But what do I get from telling the story?" More accusations in May 2016. The Rapport , an Afrikaans-language weekly, claimed to possess a video that showed Tsolekile meeting bookmakers. I contacted Tsolekile and again he denied it. "I never went to a game in my life to underperform, not even a street game." In June, the Sunday Times predicted that Tsolekile would face a lengthy ban, and I heard from him for the last time. "Nice article to call me a crook without any facts," he WhatsApped me. I asked for his side of the story again but got no reply. By August the paper had been proved right. Tsolekile was among four cricketers banned for attempting to fix matches. The details of what he did were not made public but CSA said no fixes were carried out. Of the four, Tsolekile received the longest ban. In September, Tsolekile appeared at the Goodwood Magistrates Court on an assault charge. He was alleged to have taken issue with a 14-year-old boy who was throwing stones at cars on the highway. Tsolekile's car was hit and he allegedly responded by forcing the teenager into his car and driving him around before letting him go with a smack. Tsolekile denies the allegations. The boy was from Pinelands High School.